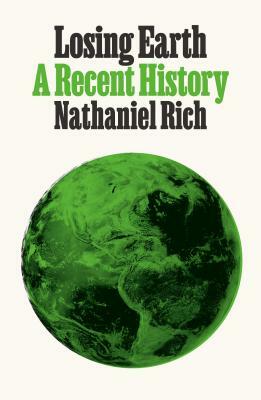 Known as a brilliant, insightful younger novelist, Nathaniel Rich, who also writes at large for the New York Times Magazine and is a regular contributor to The Atlantic Monthly and New York Review of Books, had a whole special issue of the New York Times Magazine dedicated to the material that has grown into a troubling, telling book, Losing Earth: A Recent History (MCD/Farrar, Straus & Giroux). This is an intense look at how much has been known - for forty years - on climate change, how little has been done to genuinely address it, and what that will mean for anyone who is alive. Co-presented with the TOWN HALL CIVICS Series and ELLIOTT BAY BOOK COMPANY.